Raposa, K.B., R.L.J. Weber, M. Cole-Ekberg, and W. Ferguson. 2015. Vegetation Dynamics in Rhode Island Salt Marshes During a Period of Accelerating Sea Level Rise and Extreme Sea Level Events. Estuaries and Coasts 38(5): 1-11. Dionne, M., C. Peter, K. Raposa, R. Weber, J. Fear, S. Lerberg, C. Cornu, H. Harris, and N. Garfield. 2012. Measuring tidal wetland plant, soil, and hydrologic response to restoration using performance benchmarks from local reference systems at National Estuarine Research Reserves. Final report from the NERR Reference Sites project submitted to the NOAA Restoration Center. 88 pp. Raposa, K.B. and D.M. Talley. 2012. A meta-analysis of nekton responses to restoration of tide-restricted New England salt marshes. Pages 97-118, In (C.T. Roman and D.M. Burdick (eds.) Tidal Marsh Restoration: A Synthesis of Science and Management, Island Press, Washington DC. McKinney, R.A., K.B. Raposa, and R.M. Cournoyer. 2011. Wetlands as habitat in urbanizing landscapes: Patterns of bird abundance and occupancy. Landscape and Urban Planning 100:144-152. McKinney, R.A., K.B. Raposa, and T.E. Kutcher. 2010. Use of urban marine habitats by foraging wading birds. Urban Ecosystems 13:191-208. Raposa, K.B. and M.L. Schwartx (eds.). 2009. 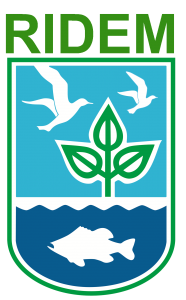 An Ecological Profile of the Narragansett Bay National Estuarine Research Reserve. 176 pp. Raposa, K.B., R.A. McKinney, and A. Beaudette. 2009. Effects of tide stage on the use of salt marshes by wading birds in Rhode Island. Northeastern Naturalist 16(2):209-224. Raposa, K.B. 2008. Early ecological responses to hydrologic restoration of a tidal pond and salt marsh complex in Narragansett Bay, Rhode Island. Journal of Coastal Research SI55:180-192. Bradley, M., K. Raposa, and S. Tuxbury. 2007. Report on the analysis of true color aerial photography to map and inventory Zostera marina L. in Narragansett Bay and Block Island, Rhode Island. 17 pp., plus map atlas. Oviatt, C, S. Olsen, M. Andrews, J. Collie, T. Lynch, and K. Raposa. 2003. A century of fishing and fish fluctuations in Narragansett Bay. Reviews in Fisheries Science 11(3):221-242.